Product prices and availability are accurate as of 2019-04-17 19:57:33 EDT and are subject to change. Any price and availability information displayed on http://www.amazon.com/ at the time of purchase will apply to the purchase of this product. Made of high gloss wood. 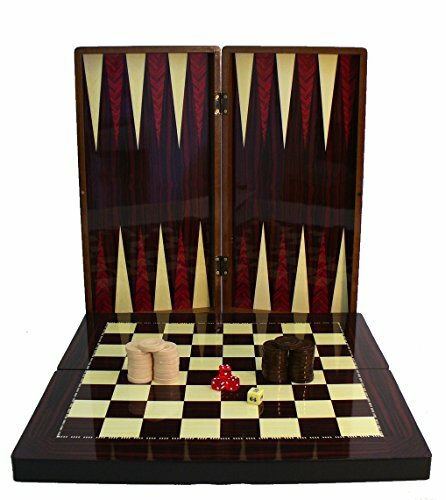 Playing surfaces are created using a decoupage technique. 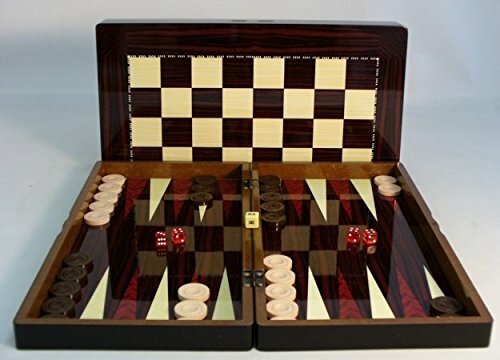 Includes 30 black and cream checkers and 4 rounded dice. 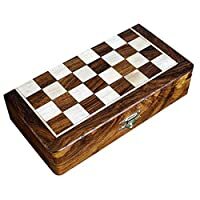 Also doubles as a chess board. Available in 3 size choices. 19 in. 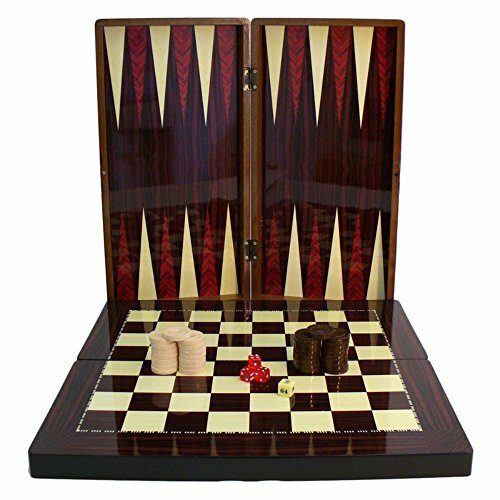 Open board dimensions: 19L x 19W x 1.25H in.. 15 in. 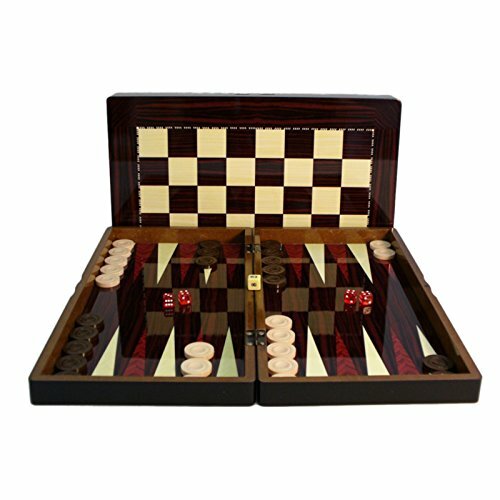 Open board dimensions: 16L x 15W x 1H in.. 10 in. 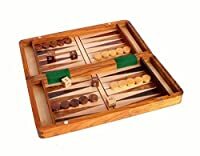 Open board dimensions: 10.2L x 10W x .9H in..